Around 100 young intellectuals from schools and research institutes in Ho Chi Minh City have joined the volunteer program to help farmers and workers from July 17 to August 20. This is the first time the month-long volunteer campaign for educated persons has been launched by the Youth Scientific and Technological Promotion Center, part of the Ho Chi Minh Communist Youth Union. Volunteers offered flowers to the statue of Ho Chi Minh president in front of the city People’s Committee on July 17. 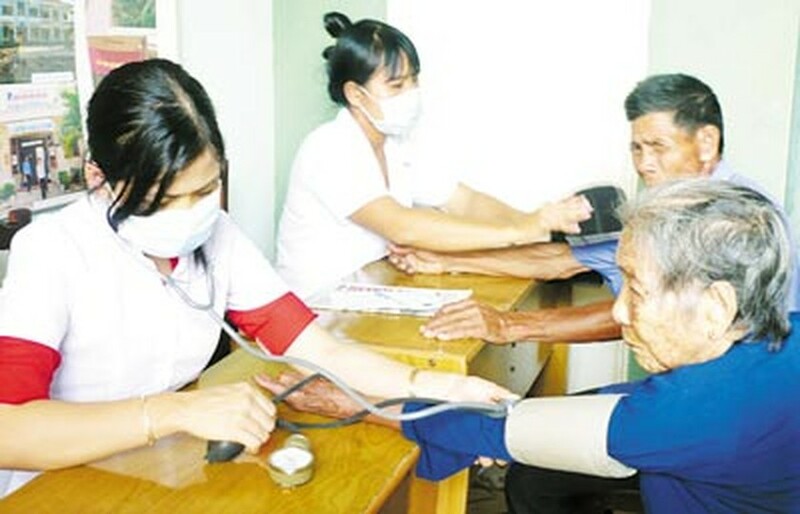 Afterward, they will give consultancies on administrative reform to young people in district 11, transfer techniques on dying cloths to workers and engineers of Gia Dinh Textile Company and instruct farmers in Can Gio district on breeding aquatic animals. In a related news report, on July 17 another volunteer campaign, “Ky nghi hong” (Red Vacation), held by the city's Committee of the Ho Chi Minh Communist Youth Union, revisited an old wartime base in Can Duoc district of the Mekong delta province of Long An. Volunteers there provided free medical exams and medications to 1,500 locals as well as donated 3,000 notebooks to poor pupils, one house to a family that served the revolutionary cause and 100 gifts to meager income families. Meanwhile, nearly 150 members of the Communist Youth Union and young workers from industrial parks, Vietnam Electricity Construction Joint Stock Corporation and the National Academy of Politics and Public Administration, are building concrete alleys and helping repair residents’ houses in Da Nang.